FHX Clash of Clans Server APK | Updated 2019 COC Private servers. It’s time to roll in another wonderful COC Private Server developers. 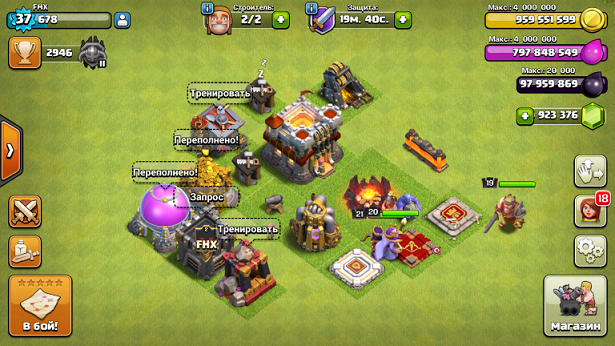 The FHX Clash of Clans Server comes with a variety of different versions. Letting the gamer to choose the best one. Like all other private servers, The FHX COC Server APK comes with Unlimited Coins, Unlimited Elixir, Unlimited Dark Elixir and Unlimited Gems too. Moreover No Root needed for your Android device. Moreover the developers have added custom buildings, Custom troops and more features to the game. The FHX also provide Clash Royale private servers too, so they have extracted some of the CR characters and injected them into FHX COC servers 2019. So it’s fun to play the edited game version. Clash of Clans was released back in 2012, So if you have been playing this game for years now, and the progress is still so lame that you have to wait for Weeks or even Months to step up from Level 11 to Level 12. Then you should experience a modified version of the game on a private server. Free and quick upgrades to Buildings and troops. No wait while constructing new building in the game. Loads of Custom made buildings. Tons of Custom made troops. Clash Royale characters in the game. Talking about the main features of the FHX servers for the game here we have the table of joy for you guys. As I mentioned earlier there are 3 FHX private servers with different of features loaded in each of them. For me the most amazing ones are the ones loaded with custom buildings and troops. Because I like to play with freedom in COC and with lots of choices to Attack and defend my town. So read the info below closely and then select which ever Server you should download on your devices. The first is the FHX Server X. This one is fully modified and will let you make custom buildings, train custom troops or go with some most needed commands in the game. The luxury of Unlimited resources is still there to make sure that the players got the most needed boosted start in the game. You can download the apk file below. The FHX DSG server comes with the original game. Just like the one you download from the play store. But it comes with Unlimited Coins, gems, Elixir etc. So if you want to play the COC game in it’s original shape but are looking for some extra coins and gems at the start of the game. Then this FHX COC Private Server DSG is best for you. Download it now. The next and 3rd server here is the same to the DSG one. 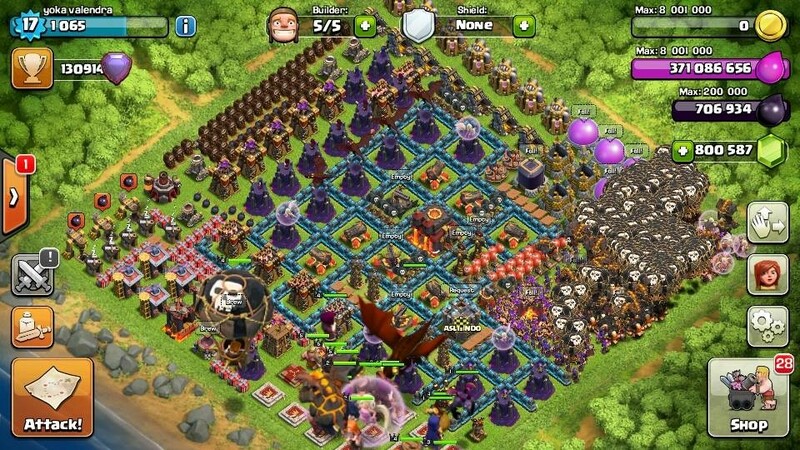 This FHX Clash of Clans Server SG comes with those infinite COINS, GEMS, ELIXIR. This one extra original server appearance seem to be there to kill the players load on the Server 2. So here you can get the Apk. Note: If you are new to private servers or Custom Android Apk file installation then read this guide here. Just like all other Private Servers of the Clash of Clans game. The FHX also has all the fun gameplay for the COC fans. The servers are stable and works great on all Android devices and enables users to save their progress in the game. The only drawback is that these servers are not regularly updated. So you won’t always get the updated version of the Clash of Clans. Ain’t Satisfied with This COC Private server? No issues, Head back to our HomePage. We have plenty of options for you to go through. Download the server of your choice.